How to provide long overdue funding to improve the state’s highways has come down to the final few days of the legislative session, with no agreement between the political parties. Republicans want to use $250 million from this year’s revenue surplus to begin to support $3.5 billion in bonding. Democrats are fearful that while the state’s economy is doing nicely right now, if that changes in the years ahead – it would require about 15 years to repay the bond – the bond payment commitment would reduce state spending elsewhere, particularly for schools. Democrats are proposing $166 million be spent on highways this year and each of the next four years, but that promise could be undone by subsequent Legislatures. In any case, $166 million times five is too small an amount when the Colorado Department of Transportation estimates $9 billion of highway and bridge work is needed. New money for highways will not be an easy sell in this November’s election, but given the choices, that will have to be the answer. 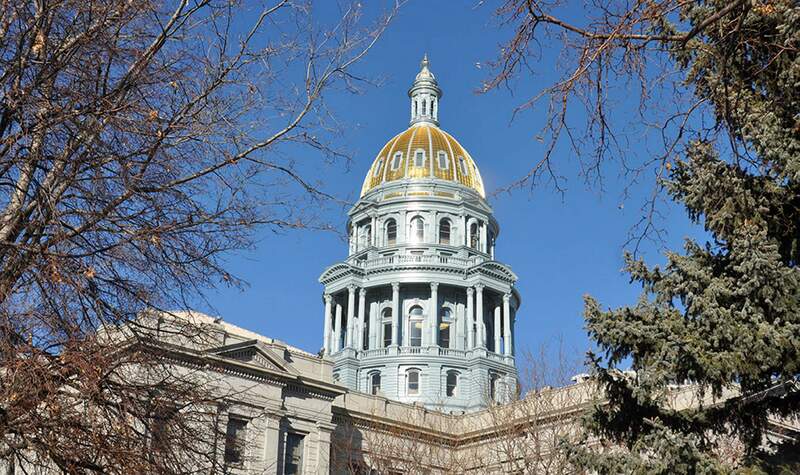 To expect that Colorado’s economy will not decline to some degree during the next decade or longer is unreasonable, and when it does, the Legislature cannot be constrained by a significant bond payment that will be critical elsewhere. Can the wizards of Wall Street come up with a proposed tax increase – sales, probably, or gas – which is only applied when the state does not have the revenue from other sources to fund its bond payment? If so, we say let’s gain approval from the voters to commit $250 million annually to begin $3.2 billion in work and expect that the state has more good years ahead than bad. The voters might agree to that. The party proposals at the end of this week are either too risky or too limited. Road and bridge improvements will have to rely on the state’s voters in November. HHHThe predictions for the fate of Colorado’s pension plans are not encouraging. Benefits have been more generous than contributions can support, while too optimistic investment expectations and longer life spans have joined to created an estimated $32 billion shortfall. The sooner expectations are reduced and contributions increased the better, as failure to do so will very likely add to the cost of borrowing for the state. With the legislative session ending at midnight on Wednesday, any solutions seem distant. Democrats are proposing to add $225 million from the general fund this year, with a promise to do the same in subsequent years. That is a limited amount, and Republicans would rather see contribution increases applied to employees rather than add to what taxpayers are responsible for. A temporary freeze on cost of living increases could be a part of the solution, or at least a reduction from as much as 2 percent, and using the final five years of pay rather than the current three would reduce benefit amounts. Much better for the fund to make retirement at 65 rather than 60. Everyone agrees the goal should be to spread the needed increases in revenues and the reductions in benefits among the participants and the government employers, but the percentages differ. Whatever the result, PERA has about 585,000 members. The political disagreements over how to create a sustainable pension fund do suggest that perhaps the state should begin to leave pension responsibilities behind by putting new hires into Social Security, if legally possible. That fund is in no better shape, but the weight of the country is behind it.